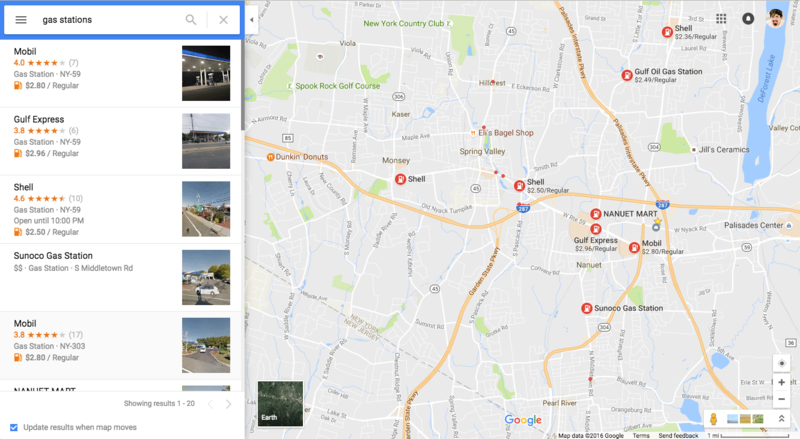 It looks like Google has updated the search results interface within Google Maps. The most noticeable change is that when you move the map around with your mouse cursor, the results on the left side update dynamically. It also dynamically updates on the next button click. There is this checkbox option on the bottom of the search results to stop the dynamic search results update when you move the map. It reads "update results when map moves" which is checked by default. Also the directions and web site icons are now replaced with one image.